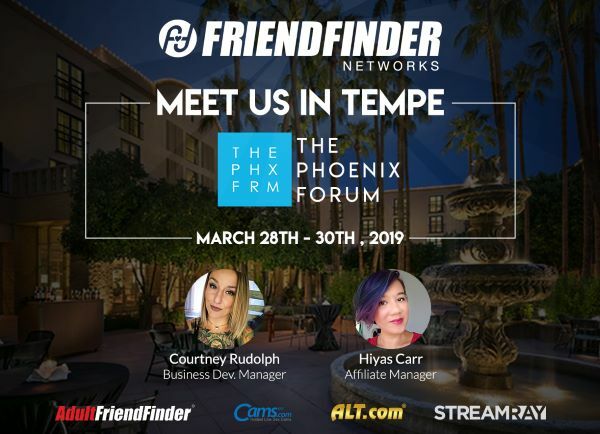 Cams.com and FriendFinder Networks will be in PHOENIX! We want YOU to Make More Money! The team at Adultfriendfinder.com and Cams.com is looking forward to making NEW business relationships with you this spring! If you want to make some money with online dating or webcams, please come talk to us! We also LOVE our existing partners, of course! Come say hi, meet our awesome managers face to face, and make big plans on how to earn some cash! Also, please remember: WE BUY TRAFFIC!! Last edited by Elli; 03-22-2019 at 06:39 PM.